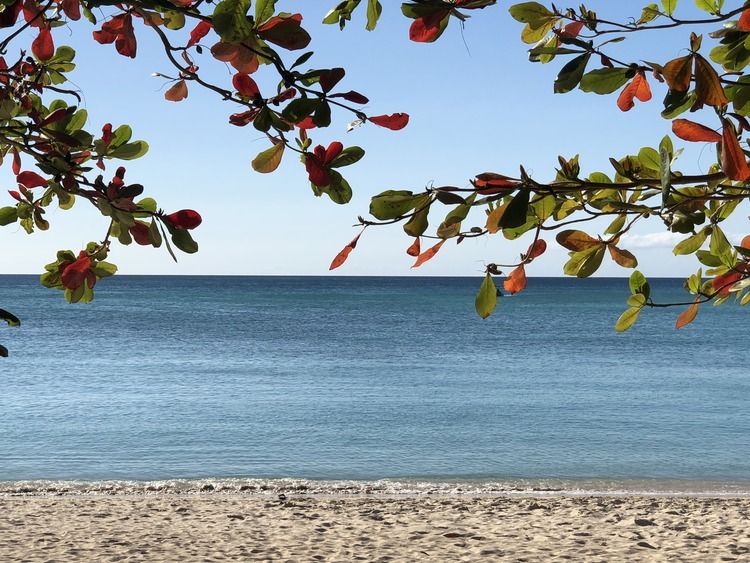 Incredible Caribbean colours surround us with the irresistible charm of an amazing private beach: relaxation turns into poetry between the cool shade of the almond trees and the glistening waters providing a heavenly atmosphere. We leave the port behind us on a coach and drive along the charming Carenage, a lovely inlet framing the picturesque harbour, and proceed along the coast headed south. We reach the*Kalinago Beach Resort*, overlooking a private section of Morne Rouge beach where the white sand degrades into the blue sea and is dotted by the cool shade of large almond trees. Once there, we are welcomed with a delicious drink - alcoholic or soft according to our preference - and get settled on the amazing beach ready to enjoy a wonderful relaxing day. The water lapping Morne Rouge is calm and sheltered, so it is also ideal for inexperienced swimmers and children who can enjoy the sea and beach safely. During the six hours we have available, we can enjoy the Caribbean as we please by lounging lazily in the sun, strolling on the shore or swimming in the crystal-clear water. If we start feeling peckish or thirsty, the resort features a beach bar and restaurant where we can purchase food and beverages from the gourmet menu that features Creole dishes and international specialities.